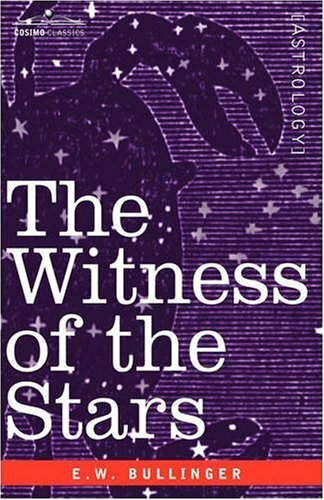 In a work of profound interest to students of Christianity and astrology alike, E.W. Bullinger uses astronomy, celestial charts, and quotations from the Bible to make his case for the existence of God's Word within the movements and configurations of the stars themselves. Beginning with proof in Psalm 19 that "the Creator both numbered as well as named the stars of heaven," Bullinger interprets each of the Twelve Signs of the Zodiac as they relate to biblical prophecy, arriving at some interesting-and controversial-conclusions. British clergyman ETHELBERT WILLIAM BULLINGER (1837-1913) was one of the most respected Bible scholars of the 19th century. He is author of numerous works including Commentary on Revelation, Great Cloud of Witnesses, and How to Enjoy the Bible.